#TTF2014 Toronto ITU By The Numbers — James Thorp. Triathlete. # miles to race site- 289 (462km). # triathletes sharing 1 hotel room- 4. Race distance- Olympic (1500m swim, 40km bike, 10km run). # times punched, kicked and pulled under the water during the swim- too many. Position out of the water- 32. # of lessons learned on the bike- 1000. # of things I would have done differently on the bike- a few. Position off the bike- 23. On a scale of 1-10 how happy I was with my bike leg- 6. Run split in the field- 5th fastest. On a scale of 1-10 how happy I was with my run leg- 9. # thanks needed to give Jason West for pulling me along through most of the run leg- a lot. # ITU ranking points before the start of the day- 0. # ITU rankings points at the end of the day- 62.11. On a scale of 1-10 how good the ice bath felt at the finish- 11. Here are a few reasons why I had a successful trip to Toronto. Accelerate 3's coaching has improved all 3 disciplines so much that despite a terrible swim leg I was able to ride and run my way back into the race. I opened a fresh pair of Saucony A6s the week before the race. If you are looking for a light racing flat that is easy on your feet when running without socks give the A6 a try. After nearly forgetting to drink my nutrition on the bike my GU brew went down easily in the last few laps. 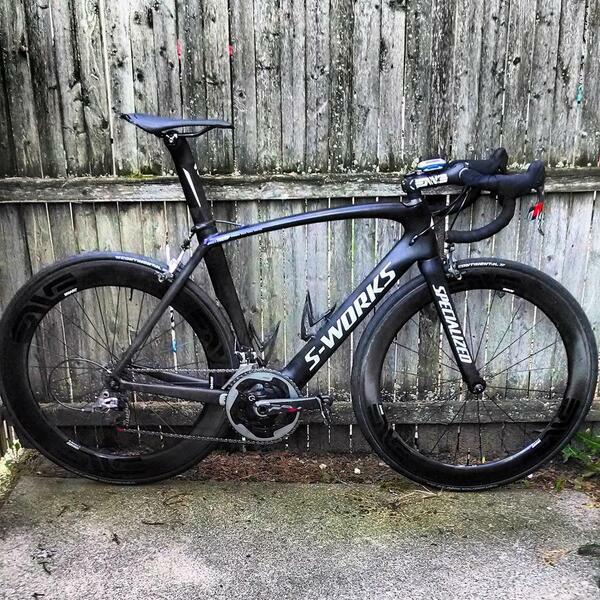 I had the sexiest and fastest bike at the race thanks to Specialized and Enve wheels. Every Man Jack kept me clean and smelling so fresh that not one person complained about the smell on the whole trip back to Toledo following the race. EMJ also only uses naturally derived ingredients and NEVER tests on animals. You can't beat that! Until next time, stay happy, stay healthy.